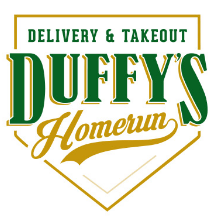 Duffy’s Sports Grill is now offering Online Ordering through their app and OrderDuffys.com! We tested it out this week for a birthday party and it was seamless. I ordered through the website on my iPhone while running around picking up incidentals – it was that easy! Choose your location for pick-up, add your order to your cart, select a time, pay and – just like that – lunch, dinner, party platters, you name it is ready to go! I have to say this was super convenient. I ordered a 25 wing party platter. It let me select traditional, sauce flavor, ranch or blue cheese, and add any specifications. I also grabbed an entree to go and could select sides, sauces, temperature, etc. I feel like it left very little room for error which is perfect. 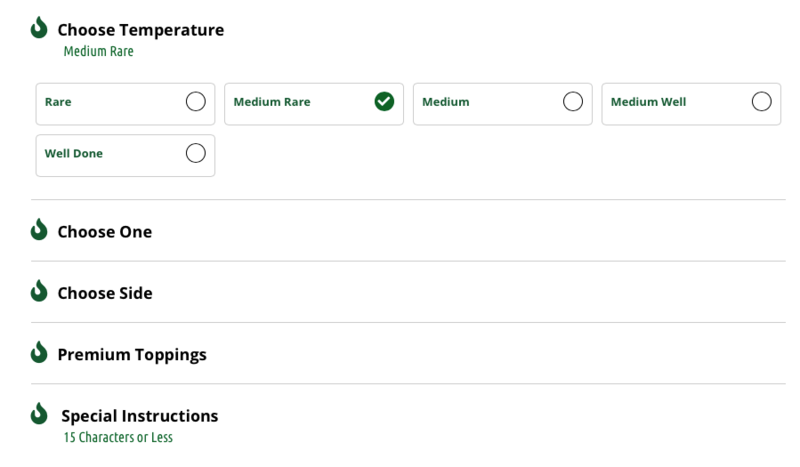 You can click around by menu category or browse the entire menu which is nice. They have tabs for kids menus and specials being offered. Each item also shows the calorie count which is nice. Whoever built out the ordering system did an awesome job. I also like how you pay in advance so you can easily have someone else pick up without worrying about payment. It made it really easy to have someone grab on their way to the party. 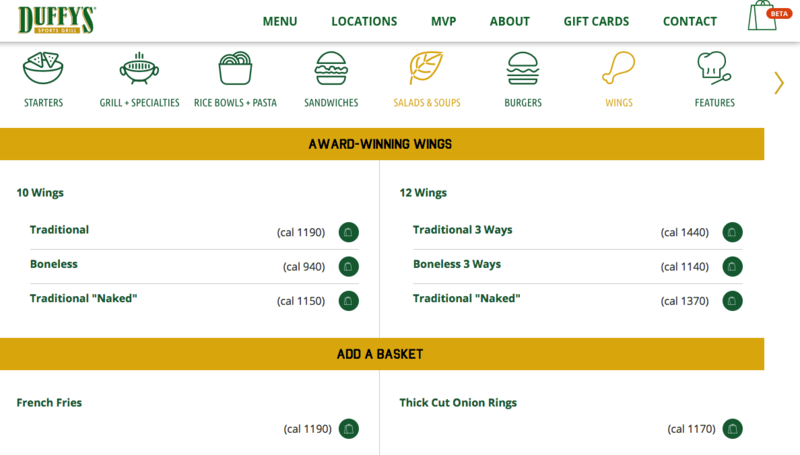 Next time you’re grabbing a to-go order, check it out! You can download the Duffy’s MVP app for iPhone HERE.